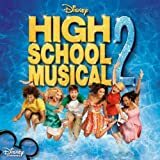 Accueil Bande originale Paroles Chansons All for one – Paroles de la chanson dans “High School Musical 2”. All for one – Paroles de la chanson dans “High School Musical 2”. The summer that we wanted. Yeah, we finally got it. Now’s the time we get to share. Each day we’ll be together. Lets take it to the beach. Let’s celebrate today ’cause there’ll never be another. been there for each other. A real summer has just begun. Let’s rock and roll and just let it go. feel the rhythm of the drums. We’re gonna have fun in the sun. Now that all the hard work, work is done. Everybody, one for all and all for one. Thats the way it’s meant to be. You deserve it, same as me. Let’ss take it to the beach. And never ever stop it. It’s not about the future. It’s not about the past. It’s makin’ every single day. Last and last and last. This is where our summer really begins. The very last time it’s ever gonna be like this. It’s the party you don’t wanna miss. Show ’em we can make some moves, hey. Show ’em we know how to groove, oh. Come on, everyone let’s dance. We can’t let this moment pass. Let’s make this party last.